There are tonnes of attractions in Africa to take in, and so are the many African themed slots available online which makes it hard to decide which games to play. Here is the Money Reels list of Top 5 African Themed Slots compiled by our dedicated staff after extensive analysis of all available African Themed Slots. 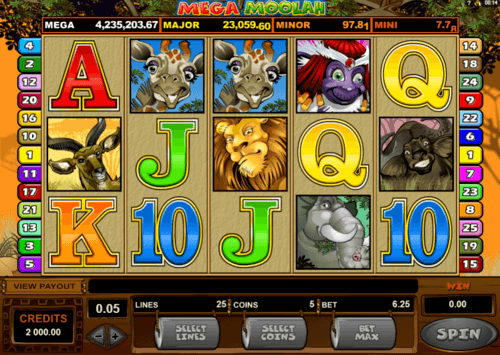 Player comments were also used in ranking these slot machines in addition to major factors such as the Return To Player, ease of use, gameplay, bonus features and quality of graphics. With Sticky Wilds and whole reels that turn in to Wilds, this slot machine is as exciting and wild as the King Tusk slot himself. A maximum prize of £62000 is up for grab as you enjoy the spectacular African evening in this well-designed slot machine. Look out for the Elephant Stampede, and do not run away because that is a sign of even bigger prizes coming your way! 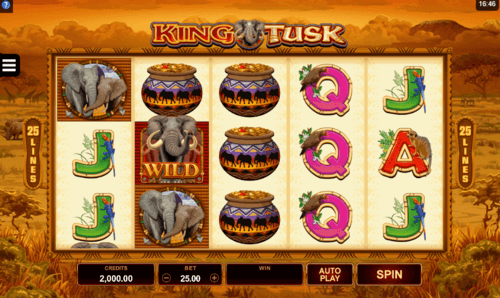 That is why we have included the King Tusk in our list of Top 5 African Themed Slots. 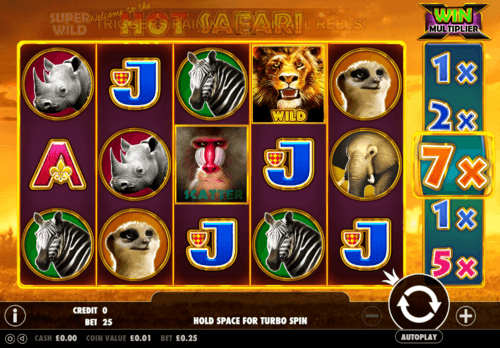 Take a closer look at the life in the wild as you spin the reels of this 25 payline slot machine, Hot Safari slot game has the RTP of 96.17%. The 6th reel will add a multiplier so that your win becomes even bigger. There is also a Wild which would create its own winning combo, and a Scatter that rewards you with Free Spins. Be it a zebra, an elephant, a rhino, or any other wild animal, the prizes they bring would be as big as the endless African savannah itself. Here is a progressive jackpot slot machine Mega Moolash slot which has not one or two, but 4 impressive jackpot stages for you to win. The biggest of them, the Mega Progressive, starts at a jaw-dropping 1 million British Pounds. The Wild Lion comes with his own prize combo, and there is also a Monkey Scatter that awards you Free Spins. According to Microgaming, “On Thursday 19 April 2018, a lucky player on Grand Mondial Casino won a mind-blowing €4,603,056.85 prize. As with all wins on Microgaming’s progressive jackpot network, the life-changing win has been awarded as a lump sum and not in annuities. A stampede slot of your favourite rulers of the jungle on this slot machine with 1024 ways to win is undoubtedly a thing to wait for, and it comes with prizes as huge as the animals themselves. You can even gamble your winning prize by clicking on the Double Up button and then selecting head or tail. 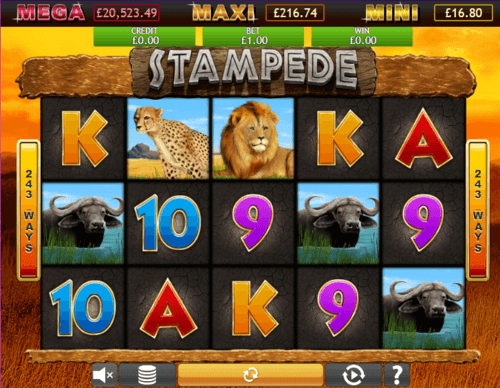 The Wild comes with multipliers, and the Scatter comes with its own prize scheme and Free Spins. Feature packed, this slot machine stands at number 2 of our Top 5 African Themed Slots. She rules the African savannah, and she rules our list of Top 5 African Themed Slots too. This impressive slot machine comes with 1024 ways to win at an RTP of 95.69%. 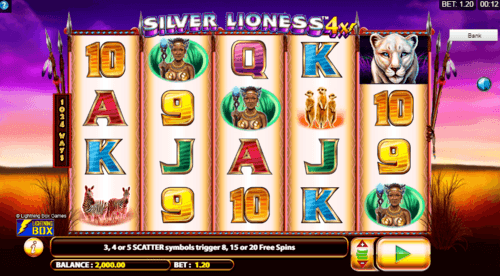 The Scatter of the Silver Lioness 4x slot would award you up to 20 Free Spins while the Bonus comes with a multiplier of up to 36x. In other words, you get ample chances of increasing your prize money as you play this African themed slot machine which comes with impressive features.